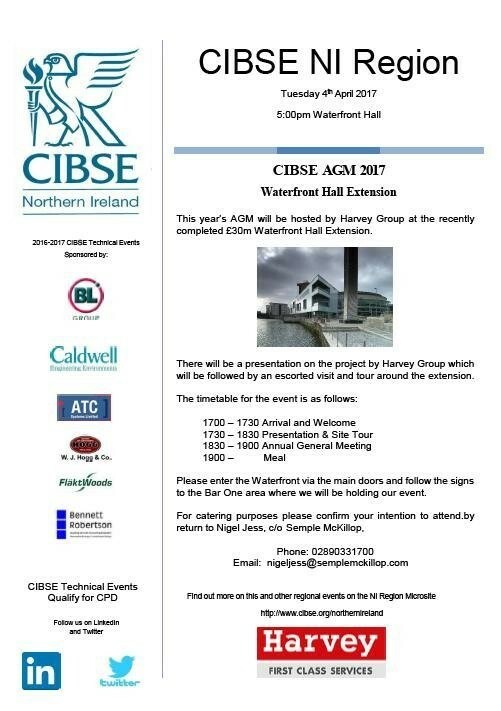 The Northern Ireland Regional CIBSE AGM, will be held in the Waterfront Hall, Belfast on Tuesday 4th April 2017. The event is being hosted by Harvey Group and will include a presentation on the M&E Installation as well as a guided tour. Harvey Group completed the M&E Installation for the New Waterfront Hall Extension in 2016, 20 years after completing the original Waterfront Hall project. For more information, see flyer below.